Looking for a family home close to Glasgow Green with small private garden? This could be it! 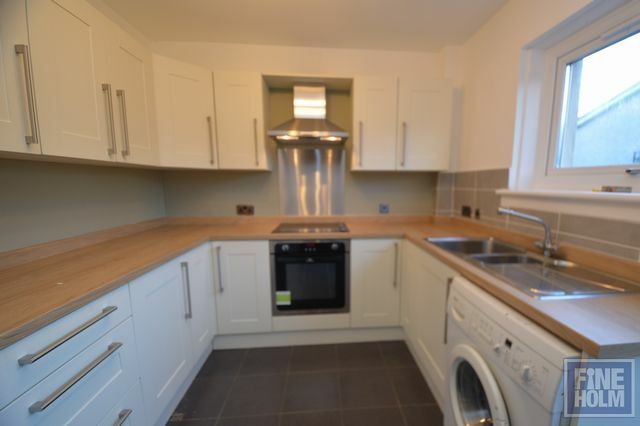 New to the rental market this 3 bedroom miasonette style property is located close to Glasgow Green, The Forge Market and many bus routes into the city and Bellgrove Train Station nearby. It comprises entrance hallway, downstairs WC, spacious living room with patio doors onto the small front patio area ( enclosed) The kitchen is accessed of the living room and has modern units with cooker, washing machine , fridge/freezer provided. From the kitchen there is a rear door to the enclosed back patio area. Stairs lead upstairs where there are 2 double bedrooms and 1 single bedroom, with a study and bathroom. The property has GCH and doube glazing throughout. Street parking and secure entry. Great customer service from yourself and thank you for dealing with situation so quickly. As a landlord, I'd like to say that I've been very happy in my dealings with Fineholm. They have been very efficient in getting my property on the market. The photos they took were excellent and really showed the property off. They were very competitive with regards to marketing fees, and were able to find me a tenant within one day (my previous agents took months!). I would happily recommend them.